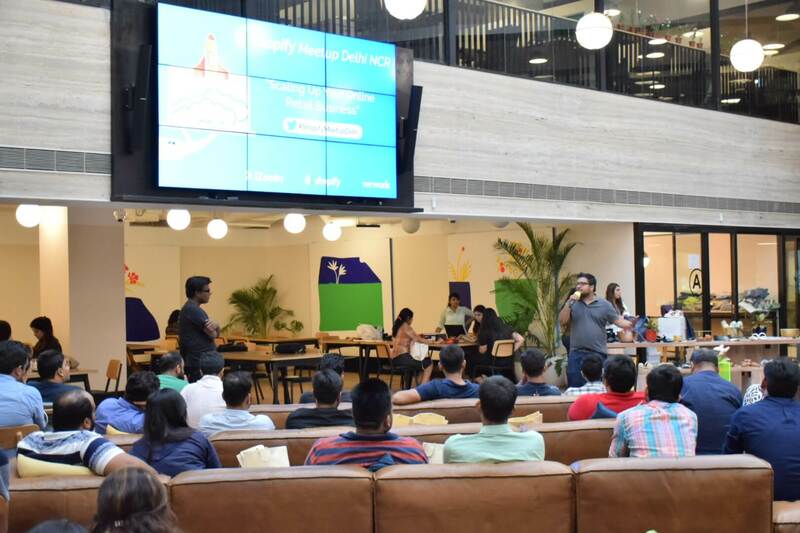 We @ iZooto hosted our 1st Shopify Meetup in Gurugram on July 13, 2018. And it was a full house! It was pouring down heavily. We (Team iZooto) were worried about whether enough people would turn up or not. For those who haven’t been to Delhi, the city gets choked during rains. I was cursing myself for closing the registrations two days before the meetup as the registration count had already hit 2X the number of people the venue could accommodate. To our surprise; 90 people turned up at the meetup - some drenched, some completely soaked but everyone was super excited. The objective of the meetup was to address the most daunting question faced by almost all the merchants - How to scale acquisition - from 0 orders a day to 100 orders a day. 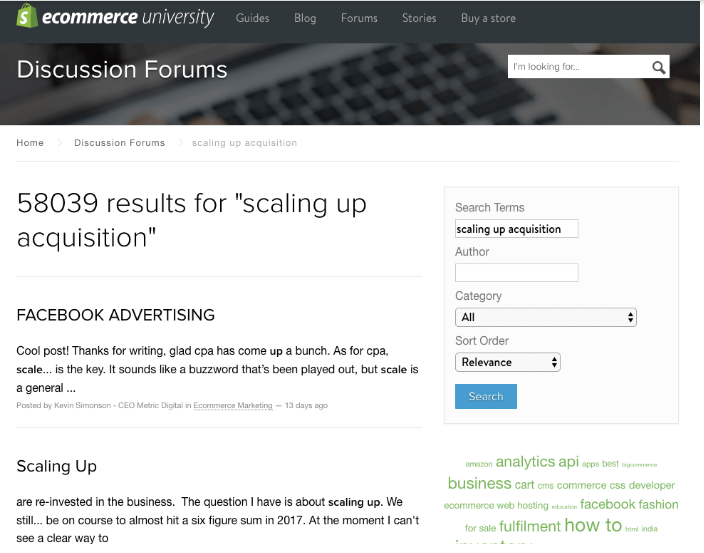 Discussion forums are filled with threads where people are trying to find out new avenues of scaling up the acquisition. We had two amazing sessions where growth leaders from two of the biggest e-commerce businesses in India talked about their experience of scaling up businesses. Don’t worry if you missed the meetup. We got you covered. Here are the excerpts from those sessions. 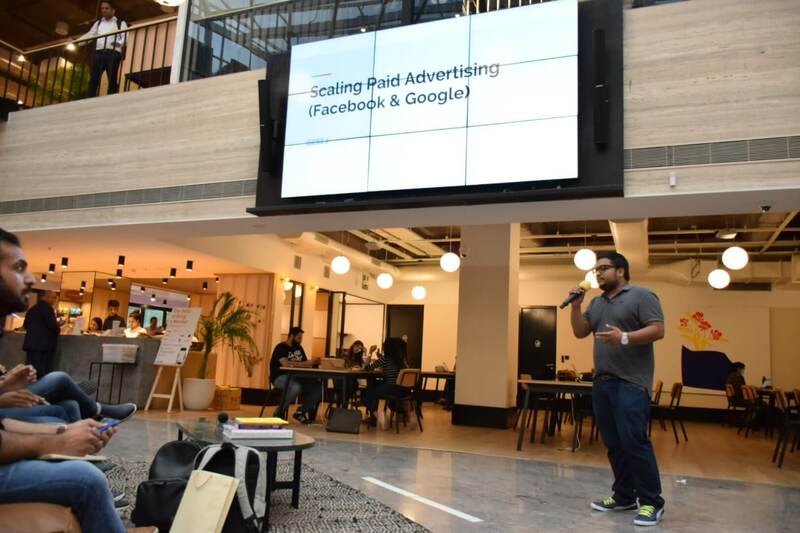 Session #1 “Scaling up paid marketing - Facebook and Google” by Ankit Agarwal, Performance Marketing, Uber Eats. Ankit gave insights on Facebook and Google paid marketing. 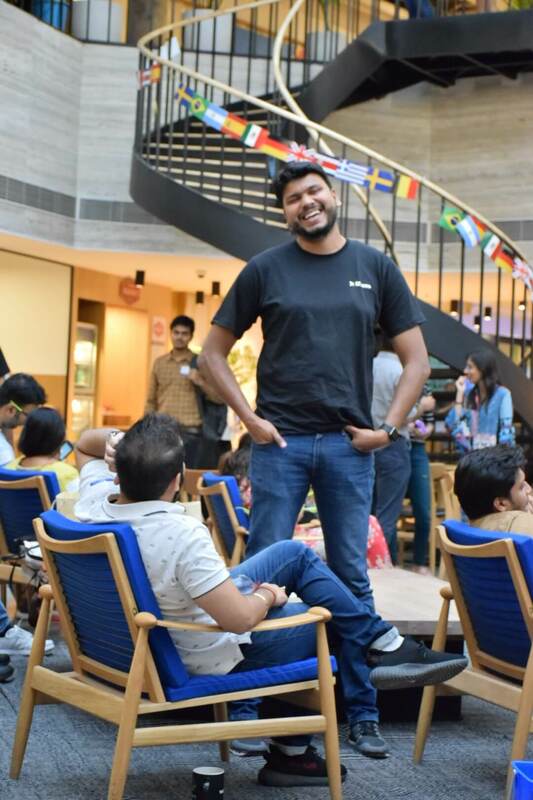 Having spent significant time in scaling up paid operations, Ankit understands the nitty-gritty of how to utilize paid marketing effectively. You should start with the basics. Get tracking and performance measurement in place. You should also look at how each of the acquisition channels is contributing to your business, find out the efficacy of every channel using a simple grid mentioned below. Also, keep a close tab on qualitative parameters. Targeting and selecting the right audience is critical. You can’t go too specific or too broad. Avoid broad segments, age, and gender-based filters should be considered for every audience, also avoid combining multiple geographies into one campaign. You should leverage your first-party data - browsing and action data of users generated on your property (website/app) to retarget, create lookalike audiences. It works. Creative is an important element in every ad campaign. You should always provide the ad platform with more options in terms of offer, CTAs, visuals. There is no golden rule around how many creatives should you have for every campaign, 2-3 versions running all the time with 2 new variations introduced every 2 weeks should help you understand which ones are performing better. Automate stuff. Businesses with a product feed can leverage Google Shopping for automated creative generation, optimization at scale and Facebook Dynamic Ads for carousel/static ads at scale. Businesses without a product feed can bank on Google Dynamic Search Ads, Facebook Dynamic Creative Optimization. Don’t try to optimize your campaigns too frequently as the campaigns would not stabilize. Also, if you try and optimize more than one thing at a time, you will never learn which factor really influences the efficiency of a particular campaign. You should optimize every campaign for the lowest event in the funnel, optimization efforts to improve clicks/install isn’t really a healthy approach in the long run. Decide and stick to an efficiency threshold for your business because as you scale advertising efforts, the performance will start taking a hit in the first few days/weeks. With Scale Comes Attribution Haziness. Don’t look at your advertising results in isolation, always analyze them in the context of other sources (Organic). Do you see anything wrong with the chart above? Cannibalization is at play here. 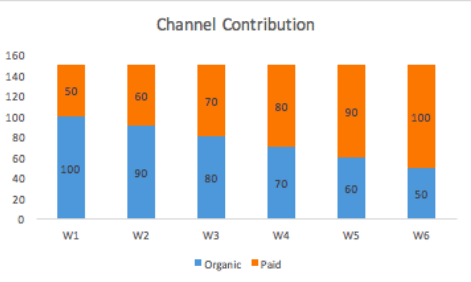 Though paid channel is scaling up, it is adversely affecting the performance of the organic channel. This is an extreme scenario. The bottom line is, with every additional channel, the overall performance should go up. Lastly, there are business metrics beyond numbers and dollars, which are equally critical. Check return/appeasement rate trends; too high and it's a problem. Check avg. basket & 30-day retention; too low and it is a problem. With the takeaways on paid marketing from Ankit’s session, we moved to the next session where Aashna gave everyone a perspective on what should your approach be to scale your business from 5 orders a day to more than 1,000 orders a day. Next question is how do you measure the performance of your growth efforts? When it comes to channels, you should define an ideal mix for your business. Digital channels have a significant edge over ATL (above the line advertising) and BTL (below the line advertising) channels, targeting a specific audience with ATL remains a challenge, also the reach is too broad, whereas with BTL it becomes too localized. In the initial stages, you should focus on driving product adoption as it helps you create brand awareness. We all know how a typical marketing funnel looks like, use the appropriate channels to move users down the funnel. Here is a list of objectives and metrics you can set up for every stage of the conversion funnel. If you are a new brand, invest more on awareness channels, the ideal budget mix would be - 50% on awareness, 30% on consideration, 20% on conversion. Break through the clutter with unique creatives, build a brand story and educate users about your USP. Getting the right copy is as important activities as getting the right creatives. Scaling with a small team becomes a challenge, you should try and automate as many tasks as possible. Feed is king for reach and re-marketing. Setup triggered communication campaigns to engage users at the right touch points across the conversion funnel. Marketers get so overwhelmed with their own activities that they overlook some of the most important aspects that affect the performance of campaigns. UI/UX is paramount to getting an order, it doesn’t matter whether it’s new or repeat. Performance of the website in terms of load time and response time is way too critical. If you have high bounce rate on your store, you should definitely take a look at these parameters. Test your catalog sorting and optimize it for the best user experience. Optimize the checkout journey to ensure that there is minimum friction. A/B test everything, experiment, measure the impact and then deploy. Age, geo, gender splits to determine your high ROI segments. Understand purchase behavior, category affinity, high repeat categories and discount sensitivity to drive more sales. Start building custom and lookalike audiences, it will help you improve targeting, lower CAC, and increase customer retention. What about free traffic? How do you get the maximum out? Keep your content engaging and relevant. If you are serving millennials, your social media game should be on-point. You don’t have to crack all social channels, pick your channel based on your target group, develop thought leadership. Start with influencers first, the press will follow. SEO: Start young, gain most. Invest in high-quality content. Add relevant keywords in the meta tags, make your site search friendly. Do not ignore the Voice of the Customer. “Always be experimenting!” Test your hypothesis frequently. Test your creatives. Facebook loves new creatives, change creatives at an average frequency of 2.5 weeks. Google loves to optimize the same creative, higher frequency per creative is okay. Test your campaigns. Experiment with bid types, bid strategies. 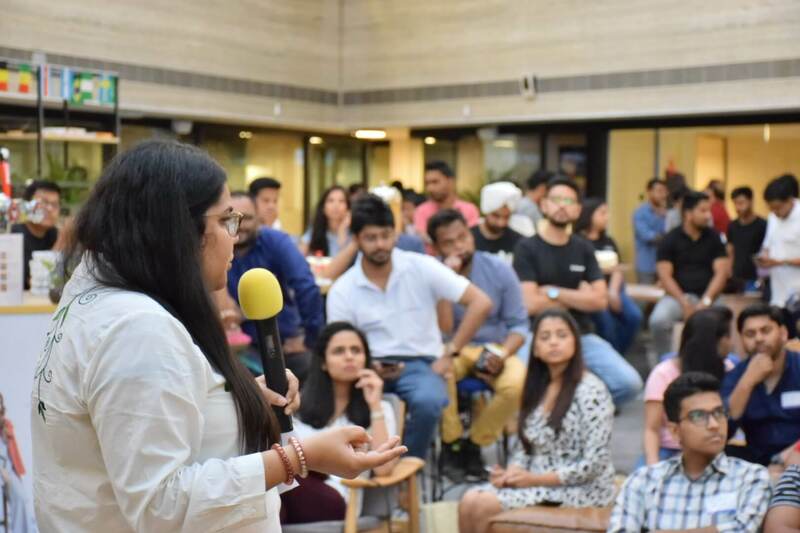 Aashna’s session covered everything from marketing channels to your tech product, from identifying the type of product you are selling to the right channels to bank upon. Post-meetup interactions were insightful too. People talked about their own experience of scaling up the acquisition, challenges they faced and how did they tackle them. We had a mixed bag of people at the meetup - Shopify experts, merchants and app developers. Engaging and collaborating with different stakeholders in the ecosystem closely is what differentiates Shopify community from the rest. We experienced it first hand at the meetup. Can’t wait to host the next one. Convert your e-commerce store into a sales machine. Try Web Push Notifications for Free!